Every business wants to grow, but part of that means maintaining a group of happy, engaged employees to make it happen and take care of customers. Unfortunately, retaining employees can be difficult. In Canada, the turnover rate is 16%, while in the United States it is 13%, with 14% of the separations occurring voluntarily in both countries. Once an established employee leaves, your staff may have to put in extra time to compensate for the loss and increased workload, and any training the new hire will need. On top of their day-to-day, Human Resources employees will have extra work to do as they search for, screen, and interview candidates, and later oversee orientation. Losing employees results in extra costs, such as recruiting, overtime, lost productivity, and can lower morale. According to the Society for Human Resources Management, “employee replacement costs can reach as high as 50 to 60 percent of an employee’s annual salary.” Depending on the position’s rank and technical skills involved, other sources have said it can cost anywhere form 20% of the salary to three to five times that to hire a new individual. Huffington Post has cited other sources of costs, including “ramp time to peak productivity, loss of engagement due to high turnover, higher business error rates, and general culture impacts.” Recruiting and training costs are expected, but performing exit interviews, advertising new openings, and fulfilling background and drug checks, and contacting reference takes time and money too. Employers can do plenty to make sure their staff are satisfied and have no desire to leave. Ensuring that employees are aware of internal opportunities that would allow them to move within the company and further develop their careers is an effective way to keep everyone motivated. Maintaining a positive culture and pleasant work environment will go a long way too. It is worth noting that 89% of workers believe the conditions of washrooms reflect how much their company values them. Poorly kept washrooms can cause workers to believe their employer does not care about them or their basic needs. Pest problems have a similar effect. A survey of businesses that had to treat for pest infestations found that 36% of them had lower morale among their staff afterwards. Investing in employees’ health and wellbeing is effective in keeping morale up, and amenities like first aid kits and AEDs provide a sense of safety. Good hiring practices can help to decrease turnover. Hiring based on “shared values and cultural beliefs” leads to “winning results” per Forbes. 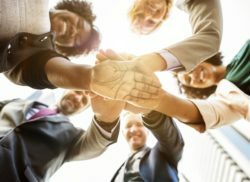 A university study also had similar findings; employees who fit in with their company, coworkers, and supervisor experienced greater job satisfaction, were more likely to stay, and were more productive. In 2017, a survey by Kronos and Future Workplace found that 87% of employers said improving retention was a critical priority. And while Millennials will make up about 50% of the workforce by 2020 and are the most likely to change jobs, their professional desires are not unlike other generations. Harvard University found that Millennials, Gen X, and Baby Boomers all had similar long-term career goals, such as financial security, making a positive impact, and help solve social and/or environmental issues. Creating an environment where staff can thrive, grow their careers, and feel that their time is valued and well spent will help to increase retention. Listening to your employees and making necessary changes will also aid retention and help your business avoid the costs of rehiring. And if it’s your building that needs improvement, Citron Hygiene can help! For a free consultation, visit our website today.